Why Is Correct Sizing So Important? 1. Assuming The Collar Is Faulty. 2. Not Factoring In Your Dog’s Coat. 3. 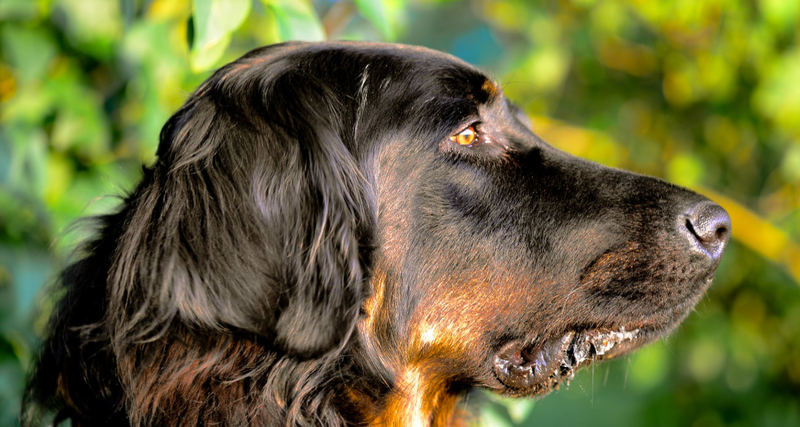 Thinking The Barking Collar Is Hurting Your Dog. One of the biggest mistakes people make when they invest in barking collars is not getting one that fits properly. Having a collar that fits properly and understanding how to place it can make the difference between having one that works and one that doesn’t. Below, we will discuss some of the things that you are going to want to understand when it comes to getting your barking collar to fit properly. If you are investing in a barking collar, it is pertinent that you understand why sizing is so critical to the effectiveness of the collar. No matter what type of barking collar you are getting, the proper sizing is crucial to the effectiveness of the collar. A properly fitted barking collar is going to deliver the best results for your intended usage. The barking collar needs to be properly positioned on the neck of your dog in order to ensure that the sensor of the barking collar is capable of detecting the vibrations that occur when your dog barks. Without proper fitting and sizing, your collar will not be able to detect your dog’s barking nor will it be able to fully delivery consistent correction at the time of your dog’s barking. One of the biggest mistakes that people make when they are looking to purchase and use a barking collar on their dog is purchasing the wrong size collar. You will want to read the barking collar’s sizing guide to understand exactly what size you should be investing in for your dog. The key to getting the right size is properly measuring your dog’s neck. You want to measure it with 1 to 2 fingers placed underneath the measuring tape. Another important thing to note is where you should be measuring your dog’s neck. The collar is meant to sit high on the dog’s neck at the smallest point. Therefore, you need to measure high and tight on your dog’s neck to ensure that you are not purchasing a collar that is too large due to improper measuring. One of the biggest mistakes that a lot of new barking collar customers make is assuming that the collar is faulty due to either improper sizing or improper fitting. While you might assume that your dog is going to be in discomfort by placing the bark collar where it is intended to be positioned, without doing so would cause the bark collar to be inherently ineffective. Bark collars must be positioned high up on the neck close to the jawline and they must fit tighter than a traditional collar. The collar should be tight enough to avoid any sort of movement. Without optimal positioning, it will not work as well as it should. If your dog is a breed that has a heavy and thick coat of fur, it might be necessary to trim it down to sufficient length. Your dog’s coat of fur can hinder the barking collar from being able to properly detect and correct your dog during barking sessions. The problem is, your dog’s fur might obstruct the contact points from making sufficient contact with the skin which can minimize its effectiveness. Thus, you should be certain that you are investing in the type of barking collar that is going to work well with your dog and if necessary make adjustments to their coat for proper contact. Many assume that barking collars might be hurting their dogs because of how they must fit to work properly. It is important to recognize and understand that your dog’s neck is very different from our own. Your dog’s neck is much thicker and tougher than your own. Because of this, it’s important to realize that you are not going to be hurting your dog by properly fitting the barking collar tight around their neck. Their neck is capable of withstanding proper fitting collars and it will, in fact, assist the effectiveness of the collar and ensure that they don’t get hurt by properly fitting it snugly underneath their jawline. Overall, there is a lot to consider when it comes to investing in a barking collar for your dog. By properly sizing the collar and ensuring that it is going to work well with your dog’s coating, you should be able to get great results with it. Having a consistent barking dog can be tiresome, a barking collar is a great way to train and combat this problem. However, you must implement the tips above to ensure proper fitting and placement to really see the kind of results that you are looking for with them.